Monarch Air Group provides private air charter in Santa Clarita, CA. Our clients benefit from top-notch service, unrelenting dedication to safety, wide selection of aircraft, and years of experience in chartering private jets. To obtain a free quote, please use our online quoting tool provided below, or call toll free 1-877-281-3051. Monarch Air Group provides private jet charter flights in and out of Santa Clarita, California, USA. Santa Clarita is a city in southwestern California, northwest of Los Angeles. It is the 3rd largest city in Los Angeles County and the 24th largest city in the state of California. The population of the city is about 201,341 people. The total area is 52.8 square miles. 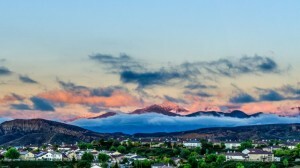 In 2006, Santa Clarita was ranked by Money magazine as number 18 of the top 100 places to live. The most notable points of interest include Mountasia Family Fun Center, Robinson Ranch Golf Club, The Gentle Barn, Sky City Bounce House, Gibbon Conservation Center, St. Francis Dam-Ruins of Collapsed Dam, and some others. The nearest airports are Bob Hope Airport (BUR / KBUR), which is located 20 miles from the city, Los Angeles International Airport (LAX / KLAX), which is located 39 miles from Santa Clarita, and Long Beach Airport (LGB / KLGB), which is situated 55 miles from the city. 10. EDW, Edwards AFB, Edwards AFB, United States. 11. EMT, El Monte, El Monte, United States. 12. FUL, Municipal, Fullerton, United States. 13. HHR, Hawthorne, Hawthorne, United States. 1. Hampton Inn Santa Clarita, 25259 The Old Road, Newhall. 2. Holiday Inn Express Santa Clarita, 27513 Wayne Mills Place, Santa Clarita. 3. Santa Clarita Motel, 24971 Railroad Avenue, Newhall. 4. Hampton Inn Santa Clarita, 25259 The Old Road, Newhall. 5. Holiday Inn Express Santa Clarita, 27513 Wayne Mills Place, Santa Clarita. 6. Santa Clarita Motel, 24971 Railroad Avenue, Newhall. 7. Hampton Inn Santa Clarita, 25259 The Old Road, Newhall. 8. Holiday Inn Express Santa Clarita, 27513 Wayne Mills Place, Santa Clarita. 9. Extended Stay America Los Angeles – Valencia, 24940 Pico Canyon Road, Valencia. 10. Santa Clarita Motel, 24971 Railroad Avenue, Newhall.